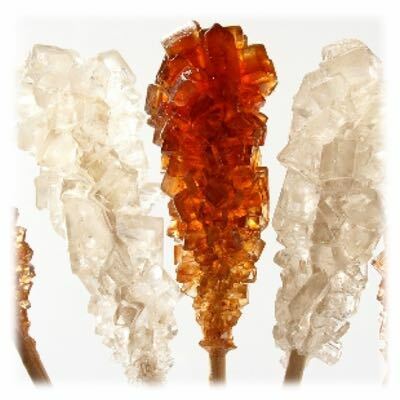 Crystalized Sugar on a bamboo stick is a semi modern use in English tea Rooms. It is mainly used as a substitute for the sugar cubes that our grandmothers have used for centuries. 1. remove the plastic wrap. 2.place the sugar adjacent to the tea cup, over the coaster. 3. bring it to your friend and watch their face expression change from a mild happy to impressed.